"Seized the colors of his regiment, the color bearer having been shot down, and bore them to the front where both his arms were carried off by a shell." I first learned of Thomas Plunkett while reading Stephen B. Oates' biography of Clara Barton. I later noticed his name in a list of Civil War recipients of the Medal of Honor. The more I learn about him, the more I realize his is a story worth the telling. Born in Ireland on 13 October 1839 to Francis and Catherine, Plunkett's family came to the United States in 1845. He was a mechanic living in West Boylston, Massachusetts when he enlisted as a corporal in Company E of the 21st Massachusetts Volunteer Infantry on 19 July 1861. The 21st Massachusetts was made up of men from central and western Massachusetts and was organized at Worcester. After mustering into Federal service and leaving the State in August, it did garrison duty in Annapolis, Maryland, before being being assigned to Ambrose Burnside's expedition to North Carolina on 9 January 1862. It received its baptism of fire at the battle of Roanoke Island on 8 February. It was also engaged at Newburn (14 March) and Camden (19 April). In August, Burnside's command was reorganized as the IX Army Corps and was sent to Virginia to reinforce John Pope's army. It was not heavily engaged at 2nd Bull Run (30 August), but it was a different story at Chantilly 2 days later (1 September). In a hot fight with Stonewall Jackson's troops during a thunderstorm, 38 of its men were killed or mortally wounded; an additional 76 were wounded and 26 taken prisioner. This was the highest loss sustained by the regiment in a single battle during the war. 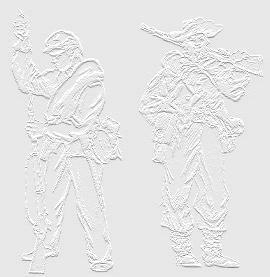 The night following the battle, Plunkett, by now a sergeant, went searching for a wounded friend, Louis Moutte of Company E. Figuring he'd probably have to carry his friend off the battlefield, Plunkett left his own musket behind. While he going through some dense woods in the dark, he and a Confederate picket ran into each other. Although unarmed himself, Plunkett managed to pull the man's weapon away from him and take him prisoner. Two weeks later, the 21st was again in action, this time at South Mountain's Fox's Gap on 14 September. At the Battle of Antietam on the 17th, it helped carry what is now known as Burnside's Bridge. December saw the 21st Mass. along with the rest of the Army of the Potomac under Major General Burnside, at Falmouth, near the Rappahannock River opposite Fredericksburg. Burnside's plan was to take Fredericksburg before Lee's Army of Northern Virginia arrived, but a delay in the arrival of pontoon bridges prevented the Army from crossing the river. This delay also gave Lee and his Army plenty of time to fortify their position on the high ground beyond the town and get the range on every square foot of the plain before them. Sharpshooters were posted in the town to dispute any river crossing by the Federals. Lee's left, manned by Longstreet's Corps, was on a rise known as Marye's Heights. At its base was a sunken road, embanked with a stone wall. Longstreet posted enough artillery on the heights to make them bristle and posted infantry in the well protected road. On 11 December, the Federal Army finally forced its way across the river and began moving into the town. The 21st crossed the bridge the morning of the 12th, bivouacking near it until the next morning. At about 10 AM on the 13th, the 21st was sent to support the 10th New Hampshire, which was deployed as skirmishers, advancing in the open. A short firefight with the Confederates behind the stone wall soon forced the Federals to retire. The Federal assault on Marye's Heights began around noon, led by Couch's II Corps. Originally intended to be only a diversion for the main attack being made by the Federal left, things quickly got out of control. As soon as troops emerged from the town, they came under artillery fire which tore huge gaps in the lines. Once within range of the stone wall, the Confederate infantry rose up and fired volley after volley, mowing the Federals down in droves and stopping them cold. The best the survivors could do was find some depressions in the ground and stay down. Several waves of attacks during that afternoon all met the same fate - nothing could get past 25 yards of that stone wall and live. The IX Corps' turn at being slaughtered came at about 1 PM, as Ferrero's brigade (of which the 21st was a part) began its advance. According to the commander of the 21st, Col. William S. Clark, Color Sergeant Collins (Company A) was hit about 60 rods out of town and fell to the ground. Sgt. Plunkett immediately took up the colors and carried them forward. At a point of about 40 rods from the stone wall, a shell burst struck Plunkett, shattering both his arms and wounding him in the chest - three other soldiers were killed outright by the blast. Somehow managing to stay on his feet, Plunkett tried to support the now blood-drenched flag with what was left of his right arm and the rest of his body. "Don't let it fall, boys!" he cried. Only after Color Corporal Olney (Company H) had taken the colors from him did Plunkett drop to the ground. Stretcher bearers were eventually able to get him back into Fredericksburg. Surgeons, with Clara Barton in attendance, performed amputations on what was left of his arms - one just above and the other just below the elbow. They also dressed his chest wound (the Worcester newspaper reported that a book he had carried in his breast pocket had prevented this from being mortal). During the night of 15-16 December, the Army of the Potomac evacuated its wounded, recrossed the Rappahannock and returned to its camps around Falmouth. On Christmas Day, Plunkett was carried from the hospital, along with the other wounded of the regiment, to Falmouth Station and put aboard a flatcar bound for the Federal depot at Aquia Creek. Escorting him as far as the Falmouth train station to see him off were Col. Clark and the entire 21st, along with Barton. After arriving at Aquia Creek, he was put on a transport and taken to Washington, ending up at Armory Square Hospital. On 3 April, Plunkett paid Miss Barton another visit, this time in New York City, to report that a collection of $4,000 had been donated to him. Sgt Plunkett arrived back in West Boylston on 18 April 1863. About a thousand well-wishers were at the train depot to cheer his homecoming and to present him with a purse of $200 which had been collected. On 26 November 1863, he married Helen Lorimer. At the time, "Nellie" was 23 and a Worcester resident; she had been born in Cambridge, Massachusetts, the daughter of Alexander and Evaline. Alexander was a native of Massachusetts, while Evaline had been born in Scotland. When the 21st veteranized, the re-enlistees were granted a furlough home. A reception was held for them in Worcester on 1 February 1864 - Thomas attended as well. He was discharged on account of his wounds on 09 March 1864 by order of Major General Dix, and applied for an invalid pension on 11 October 1864 but his participation with the 21st Massachusetts wasn't over by a long shot - on 22 December 1865, a parade and ceremony was held in Boston to formalize the return of regiments' colors to the State House. Sgt Plunkett marched with the veteran color bearers of the 21st. On 30 March 1866, Plunkett received the Medal of Honor for his act of gallantry at Fredericksburg. The State appointed him messenger at the State House in 1869. Initially, Plunkett was awarded a persion of $8 a month. This was increased to $25 within a few months and gradually increased over the years to $31.25, then $50, and finally $72 in June 1878. According to what I believe is his household's entry on the 1880 U.S. census for Worcester, he was working in the Custom House; both he and wife Helen were 37 (however, this should be 39). Helen was born in Massachusetts as was her father, while her mother was born in Scotland. Two children are listed, both boys: Thomas W. (age 13) and Harry C. (age 2 on the census, but his birth record states he was born 15 June 1876 in Worcester). They had a live-in servant (Bridget O'Brien). An attorney named Francis Plunkett (age 39, born IRE, single) is also living there. This might be Thomas' brother mentioned earlier but his relationship to Thomas is given as "Other". About 1884, an intestinal disease forced Plunkett's retirement and he died on 10 March 1885, age 45. 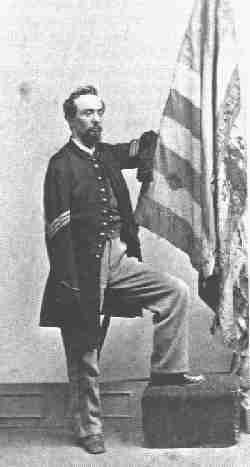 The flag which he had defended at Fredericksburg was brought out from the Statehouse for his funeral and placed next to the casket. Helen's application for a widow's pension of $30 per month was approved by a special act of the US Congress and authorized on 4 June 1890. She died 29 September 1901. Her husband is still remembered as one of Worcester County's bravest - a portrait of him is displayed in Worcester's Mechanics Hall. Co. E, 21st Mass. Inf. (with the flag he carried when wounded). as authorized 12 July 1862. Awarded on 30 March 1866 to Sgt. Plunkett for his act of bravery. 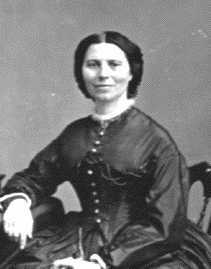 Clara Barton, later to be the founder of the American Red Cross, began her work in relief efforts during the Civil War. Beginning on her own in 1862, she amassed medical, food and other supplies from donors and delivered them to the battle front. Very often, hers were the only supplies available to front-line surgeons. She soon established a close rapport with the IX Corps, especially with the 21st Mass, which adopted her as "daughter of the regiment." Like so many others, Sgt. Plunkett credited her with saving his life at Fredericksburg. He and Barton continued to correspond with each other after the war, and she frequently remembered him in her lectures around the country.  War of the Rebellion: Official Records of the Union and Confederate Armies, Series I, Vol 21. Historical Data Systems: Military Records of Individual Civil War Soldiers. [database on-line] Provo, UT: Ancestry.com, 1999-. (Data compiled by Historical Data Systems of Kingston, MA). National Archives and Records Administration: Civil War Pension Index. [database online] Provo, UT: Ancestry.com, 2000. (Data indexed and imaged from General Index to Pension Files, 1861-1934. T288, 544 rolls. Washington, D.C.: National Archives and Records Administration).